Ever since I switched to mirrorless with my Sony a7R II, I’ve been trying to figure out the easiest way to clean my sensor. As you might know, without the mirror to protect the sensor, mirrorless cameras can collect a lot of dust spots! I’ve gone through a lot of options — blowers, sensor swabs, etc. Most of them are ineffective, hard to use or both. I would be fine getting my cameras cleaned by a professional, but here in Toronto, for some reason, the only store who can clean Sony sensors takes two business days, which in most cases doesn’t work for me. But low and behold, I finally found a solution that I can use at home and that works: The Arctic Butterfly 724s Sensor Brush! Now before we go into details about how this works, I have a disclaimer: I am a full-time working photographer and I use this brush on a weekly basis on my mirrorless camera. It is an expensive item for what it is and I understand that it might not be for everyone. But if you need to clean your sensor regularly and can afford it, you will be happy. There’s also a cheaper version, the Arctic Butterfly SL 707 (no case and no LED lights). It’s a brush that uses static electricity to remove dust from your sensor. Basically, it has a special brush and a motor that shakes the brush, cleaning it and charging its fibers. 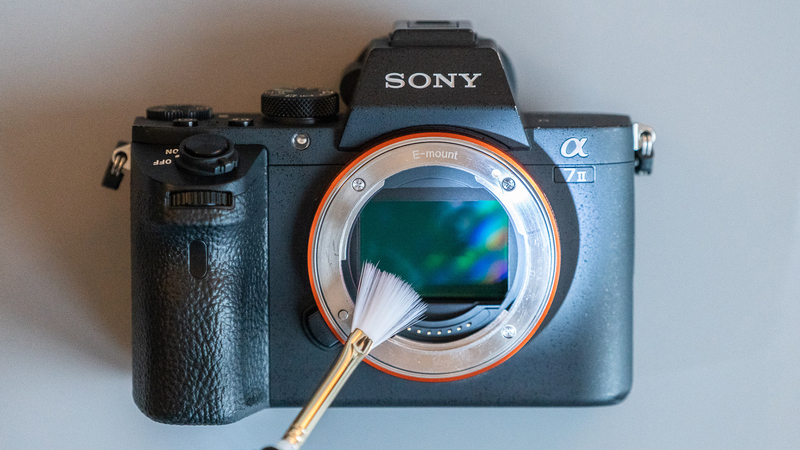 Once the brush is charged, it attracts dust when you swipe it across your sensor. All you have to do is turn on the motor for a few seconds, then turn it off. Turn on the lights to see what you’re doing and brush across your sensor a couple of times. That’s it. This brush has a lot of bad reviews online from people who used it in the wrong way. DO NOT brush your sensor with the motor on — it will damage your sensor! Turn the motor off before you use the brush. Avoid brushing the camera’s chamber area, as it can smear the brush. Similarly, make sure you put the cover back on the brush as soon as you’re done. This brush works really well and it’s simple to use. I’ve been using for a few weeks now and it cleans my sensor well. It’s great for dust spots, but if you have anything worse (like any liquid), it probably won’t work. It’s light and compact but not quite enough to travel in my backpack. The case is a nice touch to keep it safe if you travel with it though. The brush is just too expensive for what it is. The build isn’t bad but it’s also not great. The lights and the case are a nice addition, but I’m not sure it’s worth the price difference with the SL 707 model, depending on your use.